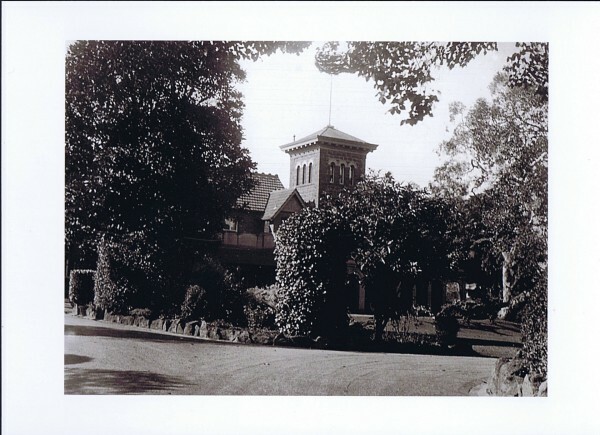 B/W photo of Bishopscourt from front entrance. Shows the tower and glimpses of the house through trees and shrubs. (La Trobe Picture Collection, SLV. Accession no. H90.161/20) c.1920.